Eggnog - Traditional Drink And Now Healthy Bread! Eggnog is traditionally an alcoholic drink consisting of milk, sugar, and eggs beaten together. Rum or brandy is added in this drink traditionally served from Thanksgiving to the New Year. According to About.com, "References to egg nog date back to the 1800’s when, just as today, it was served as a refreshment during the winter holidays. Egg nog of the 19th century consisted simply of sugar, milk, eggs, brandy, and rum. The beverage was prepared and consumed cold, was not as sweet as its modern counterparts, and was typically much higher in alcohol content." Today there are many variations, both alcoholic and non-alcoholic. And interestingly enough like so many foods, it has become highly processed. In fact, nearly all the commercial varieties contain natural or artificial flavorings and additives that replace raw eggs. Preheat oven to 350°F. Mix together the Chai Spiced Bread mix and egg nog (the batter will be thicker than with the water). Grease a 9x5 loaf pan or two 5x3 loaf pans. Pour the batter into the pan and bake for 40 minutes. Serve warm as a dessert with butter or a spiced jam. 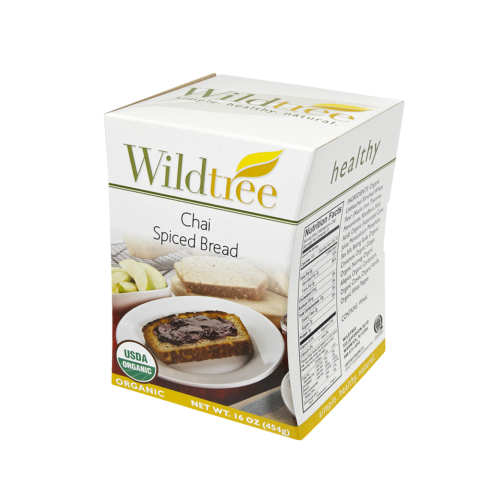 Wildtree's Chai Spiced Bread is sure to be a hit. A holiday addition to their expansive bread line, this delicately spiced bread is a snap to make. 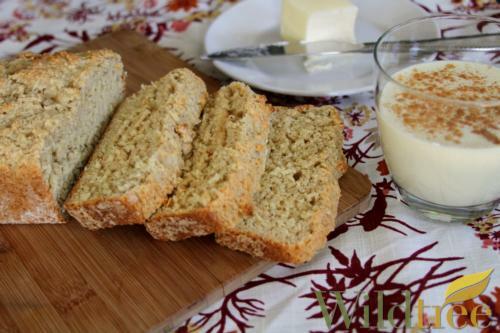 Using various warm spices, this bread makes for a warm breakfast treat or light dessert! With all their newly released items, the Chai Spiced Bread is organic. They use the traditional spice of nutmeg in their ingredients plus the bread also contains cinnamon, ginger, cloves and vanilla among others. All organic of course.